Warsaw is home to a number of embassies, and the Ministry of Foreign Affairs is there to deal with maintaining the foreign relations of the Polish Republic. Last edited by acecipher on 17:01:19 Wednesday, 15 November, 2017, edited 1 time in total. 1. The Polish Government will allow for the establishment of a Soviet Bureau of Commerce in Warsaw and other larger cities such as Krakow, in order to better handle Soviet trade within the nation. The Polish Government is also welcomed to do the same in as many Soviet cities as it feels necessary. 2. A Trade Council is to be established, called the 'Joint Soviet-Polish Trade Commission', with headquarters in both a Soviet city and a Polish city, in order to oversee and administer the trade between the two parties. 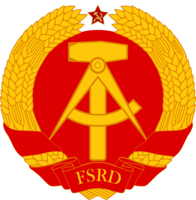 The body of the said council is to be composed of an equal number of Polish and Soviet nationals. 3. Both parties are to facilitate the crossing of its shared border specifically when relating to the transport of goods and materials. 4. Both parties are responsible for determining if imports do not cause, threaten or contribute to a disruption of domestic markets. 5. Both parties will commit to an immediate investment of (10 credits) in order to improve the commercial infrastructure between the two nations. Such improvements are, but not necessarily limited to, the improvement of railway lines, the improvement of highways and the improvement of port facilities. 6. If decided upon by the two parties, further and possibly bigger investments may be made in trade infrastructure and other areas in need of financial support. 7. Amendments and clauses can be added and/or removed from the treaty by the Trade Council as long as both nations are in accord with the changes and/or additions being made. 8. The parties reaffirm the sovereignty and territorial integrity of both nations. 9. This agreement shall last for 4 years, with the option for the parties to renew the agreement once the time has elapsed. A party seeking to abandon such treaty shall provide notice of doing so 6 months prior to its leave. 10. Both parties decide to remain actively seized of the matter. We are glad that our Soviet neighbors have found that prosperous trade, over aggression, is the way forward. We agree to this measure.